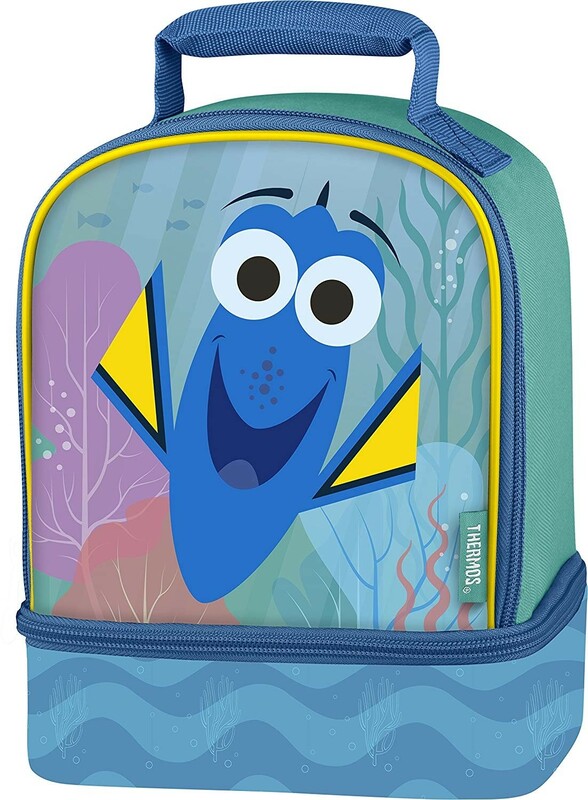 Your favorite forgetful fish can join you at school with this Dory lunch kit from Thermos! 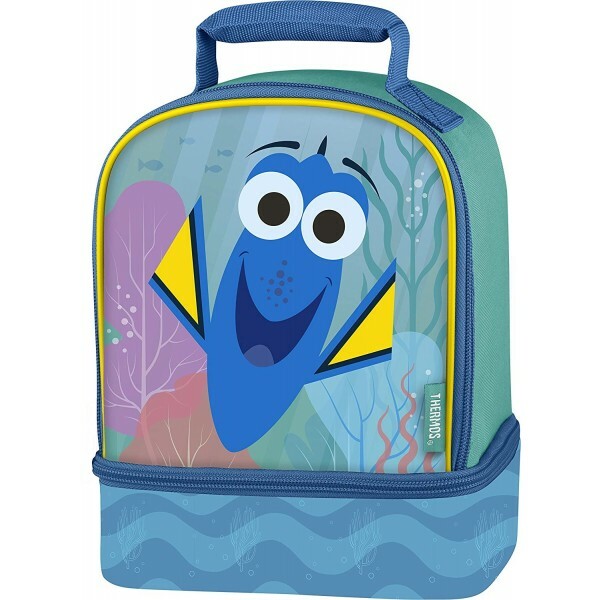 This 9.5 by 7.5 inch dual-compartment lunch bag is made of 100-percent polyester for durability. It features an insulated compartment with a zipper closure and a padded air mesh handle for comfortable carrying, and it also includes an ID pocket window. For more girl-empowering products for meals on the go, visit our Mealtime section in Kids Gear.